Youth, ages 5-7, participating in these workshops will spend 6 months training in acting, voice and dance, and will perform in our December Showcase and in their Broadway Bound own mini-musical. This is the perfect group for the beginning, young performer. 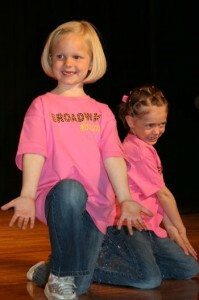 Broadway Bound rehearsals are held each Thursday. During this time, participants attend classes in Acting, Musical Theater Dance and Vocal Performance. Youth will be taught age-appropriate skills in each area. These skills will be built upon weekly, and students will apply them immediately as they prepare for February’s performance. This is the perfect opportunity to apply the skills taught in rehearsals and give every student a chance to be a star. Dates and Times: Classes and rehearsals will be held each Thursday from 4:30-6:00 p.m. at the Pleasant Grove Lions Club (600 East Center Street). Classes will begin on September 7, 2017 and continue through February 2018. (Performance dates are TBA). Cost: Monthly tuition is $50. In addition, there is a non-refundable registration/materials fee of $50 that covers the cost of music, a script, a t-shirt, and a rehearsal CD. Registration for 2019-20 starts on July 1, 2019. 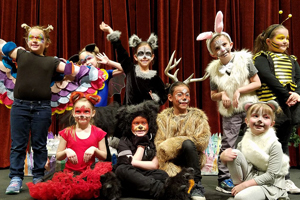 If your child would like to participate in CSYP’s Performance Company, as a seven year old, he/she is required to participate in Broadway Bound for at least one year.